mobile version of the game and fans cannot contain their excitement. Notably, the new mode is part of update 0.11.0. Among other changes coming to PUBG Mobile, is the addition of moonlight to Vikendi. This is bound to make gameplay more exciting as the visibility will affect tracking and spotting on the newly added snow map. The Sanhok map has been added to Arcade Quick Matches. A Push to Talk or PTT function will allow players to converse in-game by pushing a single button. Some PUBG PC features are being added to Sanhok and Vikendi in PUBG Mobile. 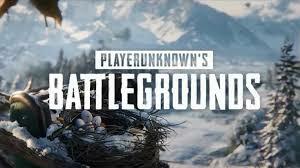 These include damage stacking outside playzone, meaning damage taken by the player will be directly proportional to their distance from the playzone circle. Another change introduced in the game is coming to the red zone area feature. This area will shrink as the game progresses and the playzone starts shrinking.